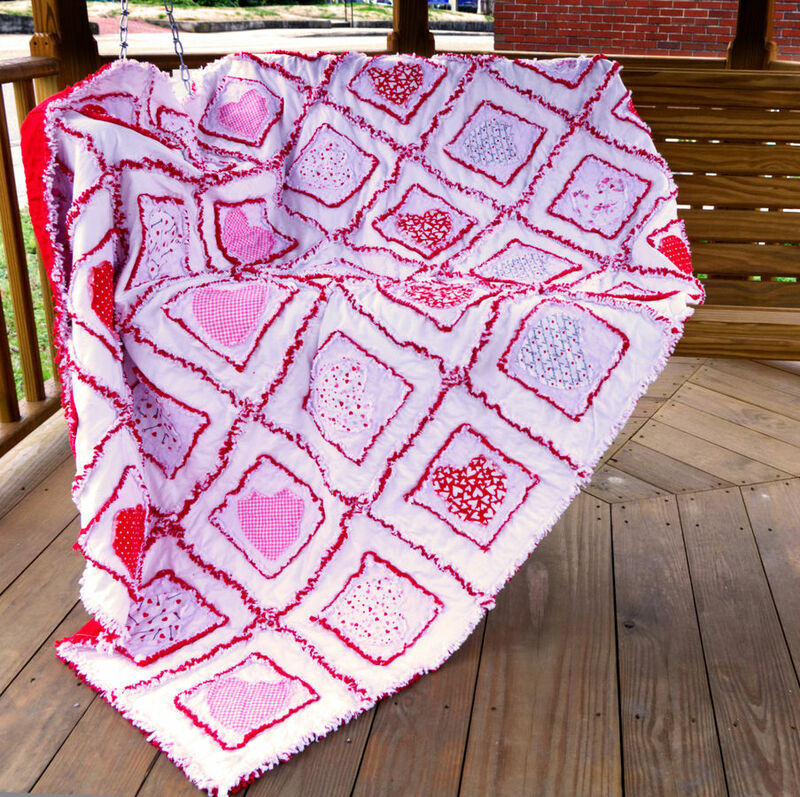 Square on square rag applique requires no special sewing skills and creates extra ruffle on this red and white oversized throw, just perfect for snuggling on the couch. Any sewing machine that can sew through 6 layers of fabric is suitable. No long arm or other specialty machine required.